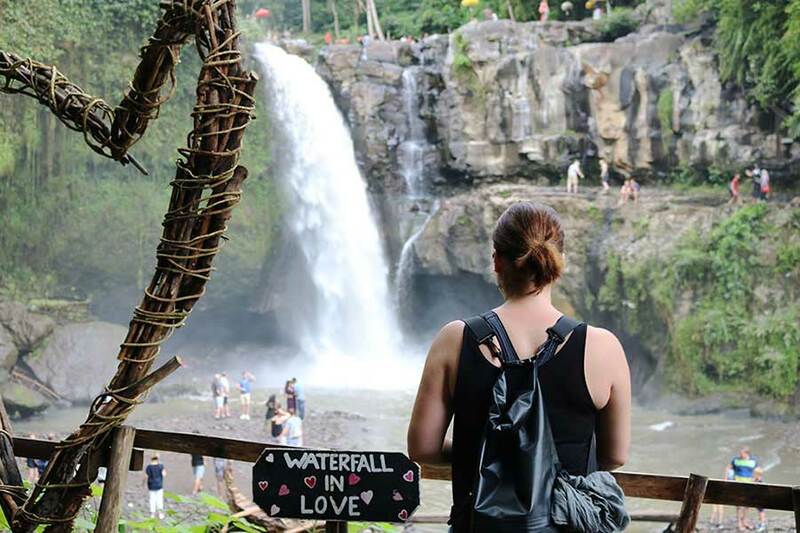 Bali Private Tour Campuhan ridge walk, Tegalalang rice terrace, Coffee plantation, Monkey Forest Ubud, Alas arum swing and Tagenungan waterfall is a Bali Sightseeing Tour package that will invite you to enjoy the beauty of Bali in six different places at once. This package is what we make for those of you who have a short vacation in Bali. By enjoying these five different areas you can already witness the traditions, nature and beauty of the island of Bali. 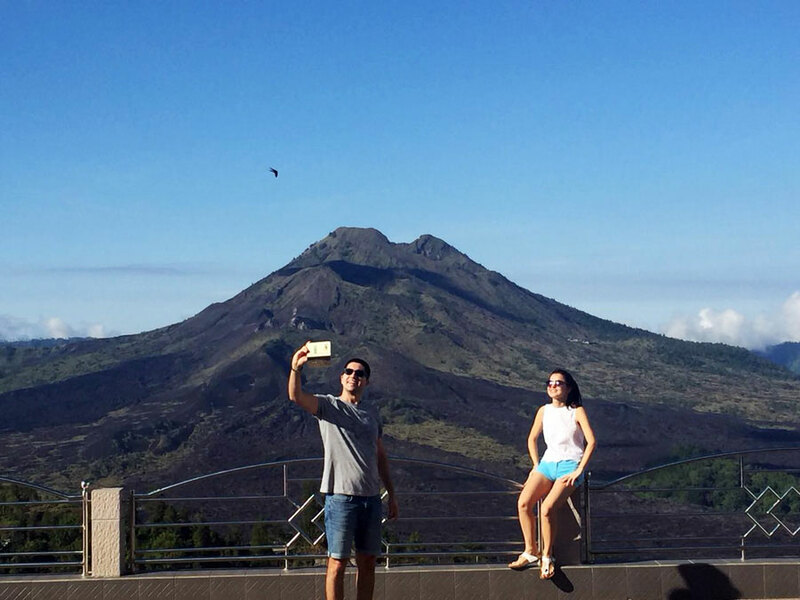 First stop is Campuhan Ridge Walk Hill is located at Jalan Bangkiang Sidem, Ubud, Gianyar Regency, Bali. This hill lies in an area with pura Gunung lebah. 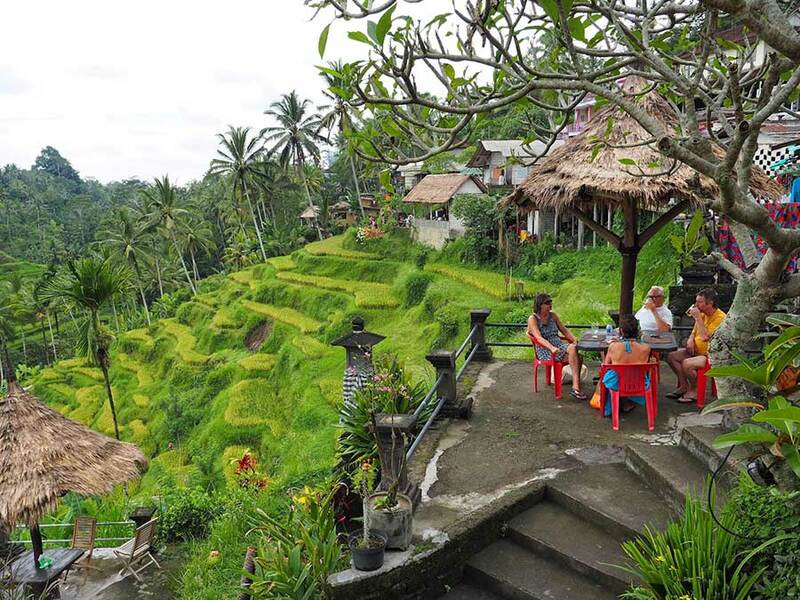 This place has open air, with views of the green landscape of Ubud. Therefore, this hill cvan be visited to see the sunrise or sunset. Many tourists are jogging since the dawn to sunrise. Meanwhile, tourists who want to enjoy the beautiful atmosphere of Campuhan hill with the sky colored orange blush came this place ahead of dusk. 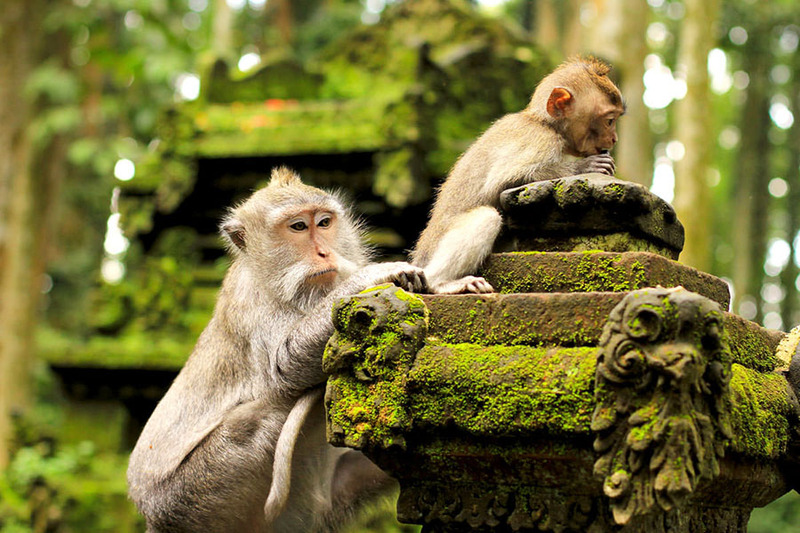 Ubud Monkey Forest is a nature reserve and Hindu temple complex in Ubud, Bali, Indonesia. Its official name is the Sacred Monkey Forest Sanctuary or Balinese Mandala Suci Wenara Wana. And its name as written on its welcome sign is the Padang Tegal Mandala Wisata Wanara Wana Sacred Monkey Forest Sanctuary. 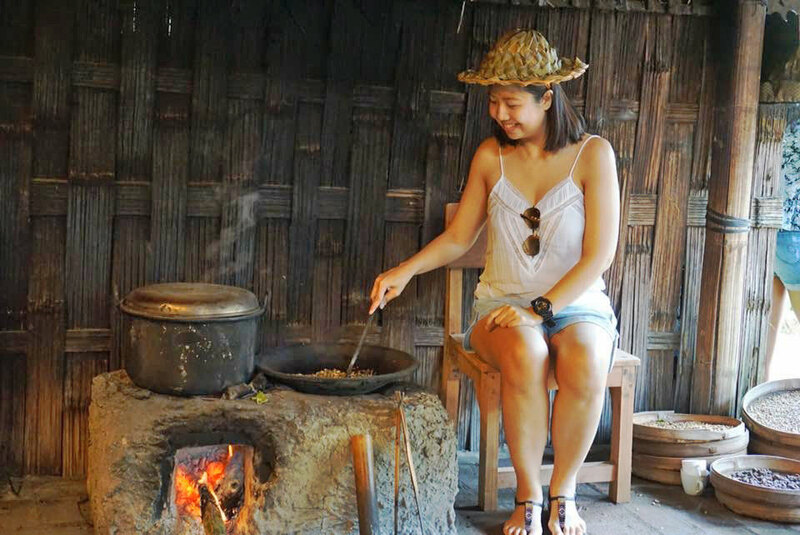 The Tegalalang Rice Terraces alone offers a scenic outlook that spreads down before you and away to the rice paddies on the slopes across the valley. The high roadside location is cool and breezy and it is a well-known spot for tourists to stop and take photos. Painters and nature lovers also enjoy visiting this spot, and there are numerous art kiosks and cafes near the ledge offering their ware. Our next stop is the Bali Coffee Plantations is one of the new tourist attractions in Bali and also one of our Bali Tour Programs. The coffee farm location usually in the mountain area. The local Balinese farmers are very creative to plant variety of coffee. The farmers are stepping into a new idea to create their coffee plantations as a tourist attractions where you may visit in with some coffee for free testing . In this place you can see directly manufacture of civet coffee from the breeding mongoose animals . 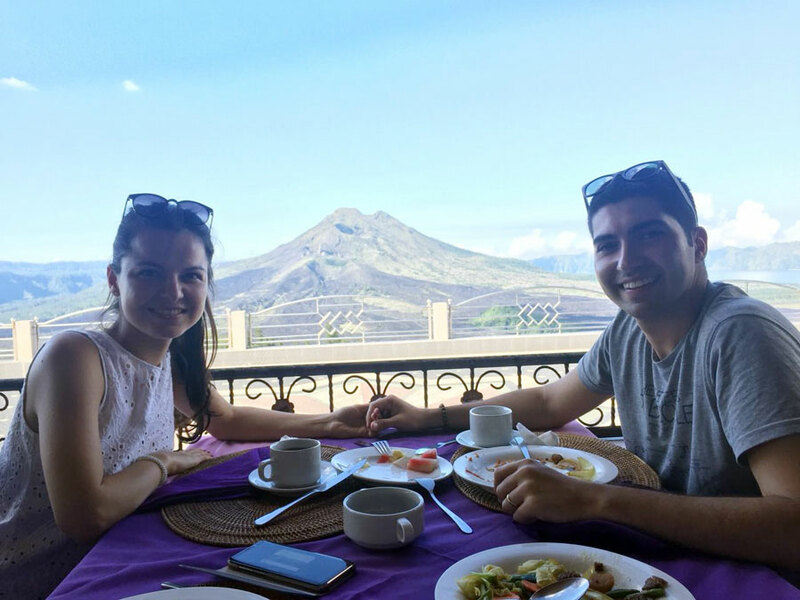 We will stop for lunch at Kintamani, you will be amazed with the spectacular views of Mount Batur. The scenery looks like the ribbons of black lava running down from its peak in the valley below. Holy crater and sanctuary at the top is for the goddess of fertility. The Alas Arum Swing forest side and exploring the great coffee farming area at Alas Arum as famous with their coffee plantation. Bali Swing including: entrance fee, lunch buffet close to the exciting river waterfall, drinks (coffee, tea, water) and 22 activities: 12 single swings (from 10m to 78m above the ground), old-school tandem swing, 6 cute nests (the best located in Bali !!! ), helicopter photo shooting point, heart rock in the jungle and huge stone over the edge above the valley with an amazing view on the canyon and waterfall. Swinging time is not limited and also amount of use neither. The price is also includes the entrance to the river with 4 breathtaking waterfalls and 2 swimming pools. So please take your swimsuit when you will visit this place. So the Tegenungan Waterfall will be the last spot in this tour package. It’s isolated waterfall, but has become a popular tourist attraction to explore and relax. 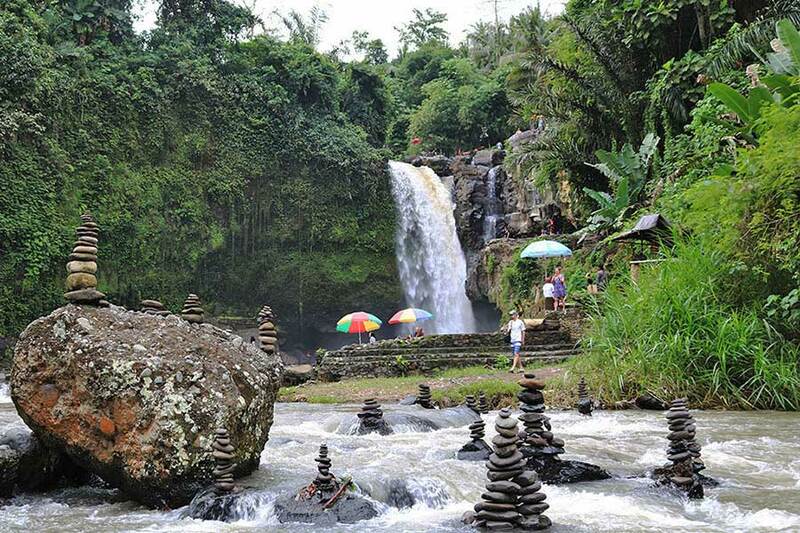 It is one of the few waterfalls in Bali that is not situated in highlands or mountainous territory. The amount and clarity of the water at the site depends on rainfall but it contains green surroundings. At this waterfall you can enjoy the scenery and freshness of the water while swimming. The waterfall includes varying highs that can be climbed after the descent down stairs to reach it. This attraction also features a viewing point to the jungle and waterfall at the main entrance. The price is inclusive of : private air conditioned vehicle, petrol, parking fee, entrance fee, lunch, swing only at alas arum, insurance, mineral water and also english speaking driver.